Here shown is a chart of the top ten thousand websites linked to on twitter. You can play with an interactive version of it here. What I'm calling "mommy blog twitter" (containing sites like bayareamommy.net and everythingmommyhood.com) is pretty isolated from the rest of twitter. 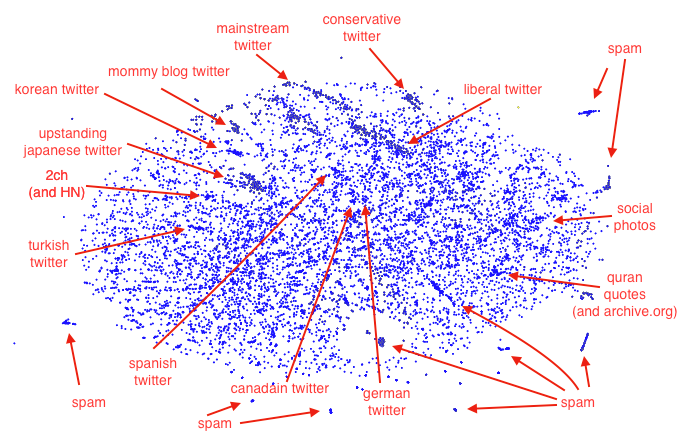 People who tweet links to mommy blogs are less likely to tweet links to other things.